Busy mom’s perfect exercise program!! A mom always put herself last in her priority list and always choose her kid over her own needs so best is to combine her kid’s time with her exercise time!!!! Walking with your baby secured in a sling, carrier or riding in a stroller is a great cardio exercise. It helps you stay in shape without making much effort, you should start walking at a comfortable pace and gradually increase the length and intensity. Stroller-exercises are very popular in the west where you have stoller exercise programs. Well, in India you dont have trainers for it but you can train yourself. So, snap your baby in stroller and you can walk, run, or do exercise. Baby Naptime can be used as your mom exercise time, you can run a mile on treadmill or skip a rope. 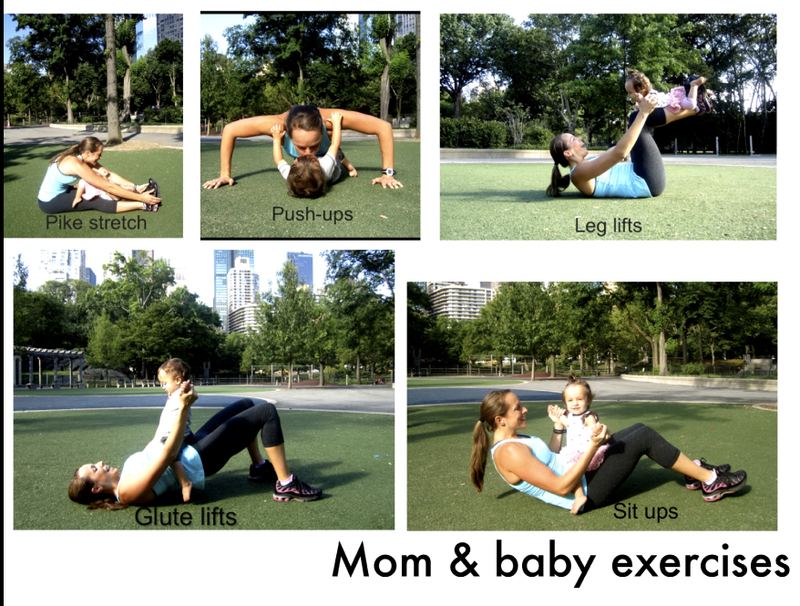 Mom & baby exercise is another great option that you can do at home or outdoors. You hold, lift and pull your baby as a prop and he gets so excited with all the fun around him..
Kegels our old friend can be done anywhere at anytime. You can do this while watching TV, making bottles or making your baby sleep …just make a conscious effort. 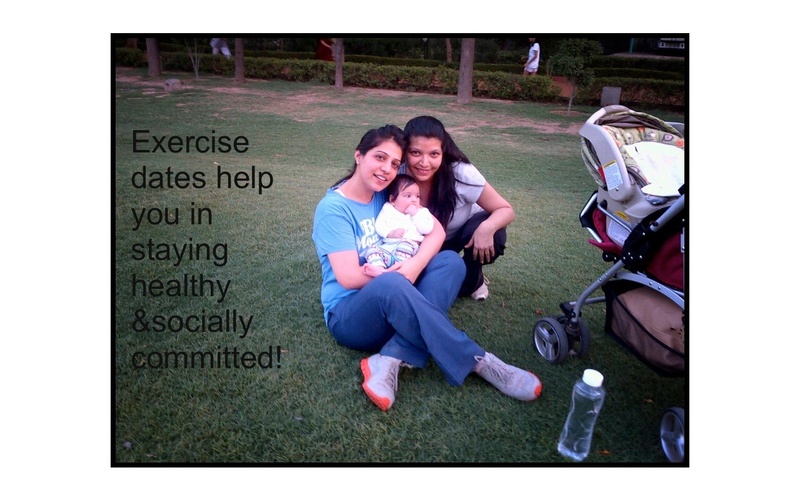 If you love Practicing yoga, Pilate, Zumba, aerobics then do it with your baby. You can either request your instructor to teach you along with your baby or buy DVDs or download few videos and you are ready for a new workout!! Organize exercise park dates with your friends so that you can exercise together and take turns in taking care of baby and exercise.